Yes, your email is being read by somebody else - an A.I. technology that learns about your email content to help you better navigate your own inbox. The tech uses machine-learning algorithms to constantly learn your patterns and preferences from signals like message metadata, the specific words you use in emails, and what types of messages you consider spam. This is how Gmail knows how to categorize different emails as ‘primary’, ‘promotion,’ and ‘social’ when filtering them to the appropriate inbox. Every time you mark an email as ‘important’, ‘spam,’ or some other label, Gmail is learning and adapting to be one step ahead of you the next time! For those who listen to Spotify, Pandora, and other internet radio platforms (which is about 300 million people), every time you listen to music you are helping a simple A.I. program learn all about your musical tastes. The A.I. from these radio sites examines all the data it absorbs - keywords, length of tracks, descriptions, artists, key signatures, and so much more - to specially construct playlists based on your personal preferences. 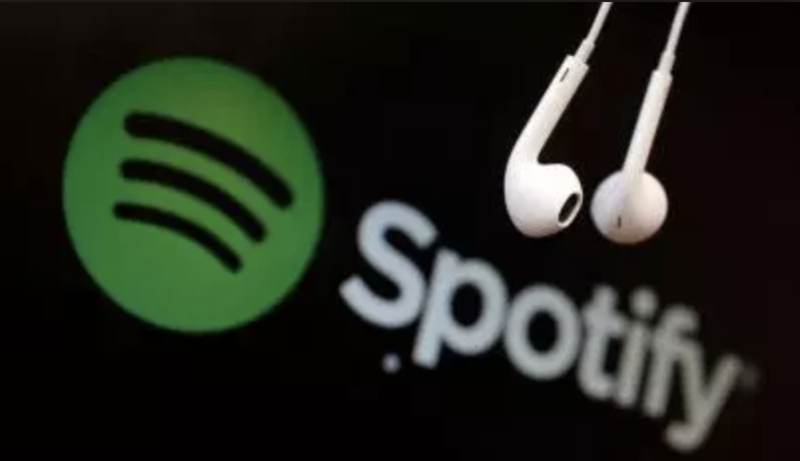 To up the ante, recent speculation says that Spotify is developing groundbreaking technology to use A.I. to actually compose original music, just for you! Last year the company added Francois Pachet to its payroll, one of the world’s foremost experts on the application of artificial intelligence in the world of popular music. Patchet previously oversaw the project that brought us “Hello World”, the first musical album to be composed entirely by a computer. It may only be a matter of time before every song on your playlist is custom-crafted by a machine! If you’ve ever used a transportation service like Uber or Lyft to get from place to place, artificial intelligence has been tracking your every move! Ride-sharing apps are another piece of tech that use machine-learning algorithms to create the most optimal ride for customers. Uber, for example, analyzes the data collected from its 5 billion logged trips to determine the most accurate times of arrival, best pick-up locations, appropriate prices, and traffic patterns. The A.I. used in ride-sharing apps isn’t just filtering data to generate best approximations; it is continuously learning as it goes to improve with each new ride. Financial institutions are swiftly becoming more and more A.I.-driven as they try to stay relevant in their market and improve their customer service functions. Mobile banking apps provide the perfect platform for them to roll out different types of A.I., including natural language processing, virtual assistance, and robotic process automation. The various artificial intelligences work within the apps to do simple things like send customers reminders, process transactions (faster and with less error than could a human), and use voice technology; or, to perform more advanced functions like providing customer service support, financial planning recommendations, or investment advice. Google Translate is a valuable tool that breaks language barriers for about half a billion people on a daily basis. But what started in 2006 as just an algorithm has developed into the one of the most widely used artificial intelligence programs in the world. In 2016, Google introduced a “neural machine translation” to its translation app, a system that processes entire sentences at once (instead of word by word) and uses artificial intelligence to improve its translations over time. By utilizing broad context, the translation A.I. determines the most relevant translations, and then adapts them to mimic the way a real person would speak. Google Translate not only learns these speaking patterns and words, but remembers them for its next translation, in order to continually improve its ability to talk like a real human. Even more impressive (and pretty intimidating) is that Google Translate’s artificial intelligence has the ability to perform this function in 103 different languages. Those fun little icons on your phone keyboard are more than just modern-day hieroglyphics. Since emoji was first rolled out as a feature, it’s been steadily bolstered by A.I. tech to start learning to ”speak” emoji like a language, and predict what emoji (as well as GIFs and stickers) you may want to use based on your digital conversations. Emoji apps like Dango use a form of artificial intelligence called “deep learning” to understand the nuances of human emotion, and predict emoji based on what you communicate through the words you type. This type of predictive machine learning is meant to make it easier to add emoji into your texts and posts instead of having to scroll for the applicable icons you want to use. Though this A.I. sounds like a simple program that regulates something as innocuous as an emoji, at its core it is a technology that is actually learning, reacting, and adapting to your feelings. For those who can’t stand spending minutes to hours on the phone waiting for customer service help (and that’s everyone), an increasingly available option is to use “Chat” help on a company’s website to resolve an issue or ask questions. But also increasing with this feature is the probability that you are not communicating with a flesh-and-blood person. Instead, you are more than likely chatting with an artificially intelligent chat bot. These chat bots are not just automatic responders that parrot out pre-programmed dialogue. They actually extract information from your conversation, and use a “natural language processing” program to learn how to 1) respond appropriately to your request, and 2) do so like they are actually a real live person. The highly sophisticated A.I. these chat bots utilize means they are learning to understand and respond to natural language, and they’re getting better at it every day. It may be no big surprise that Netflix utilizes artificial intelligence. How else would they know which shows we shamelessly binge like no one is watching us, and offer suggestions about what to view next? But it may be surprising to find out just how deep their artificial intelligence goes. Netflix does indeed use machine learning A.I. to analyze customers’ viewing choices and make the most applicable movie and show recommendations to enhance user experience. In 2013, Netflix claimed “there are 33 million different versions of Netflix” - meaning that each and every viewer (there were 33 million at the time; now there are over 130 million) was receiving a completely unique, personalized viewing experience based on their own preferences. Netflix determined those preferences by using A.I. to learn from millions of ratings, searches and plays each day, as well as the history of billions of hours of content streamed every month. The streaming service juggernaut is also now working with A.I. tech to crack down on paying users who are sharing their accounts with non-paying individuals. 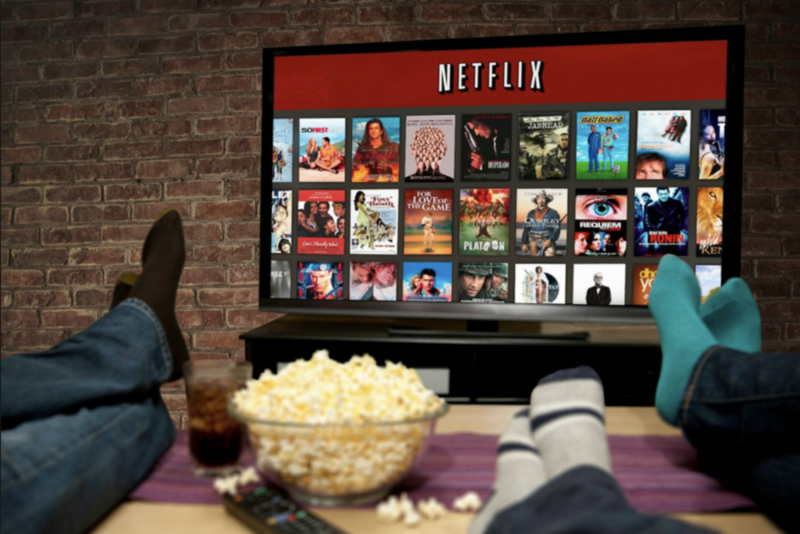 Using a machine learning system developed by Synamedia, Netflix has started analyzing account activity to recognize unusual patterns, such as account details being used in two locations within similar time periods, to pinpoint these offending account sharers. This artificial intelligence should, allegedly, be able to learn so much about customer activity that it will even be able to determine if a customer is at home or away on a vacation when they access their Netflix account. It’s a very Netflix-and-chilling thought. Use natural language processing to build genome-scale knowledge bases by automatically reading millions of biomedical articles. Offer cancer decision support by developing A.I. technology for cancer precision treatment and personalized drug combinations. Provide chronic disease management by developing predictive and preventive A.I. technology for more personalized medicine. These advancements using artificial intelligence could make it possible to treat or prevent cancer more accurately and efficiently than by human intervention alone. But conspiracy theorists and all those leery of A.I. may wonder what kind of slippery slope we are treading if, or when, humans eventually come to rely on intelligent machines to weigh their healthcare options. It sounds almost impossible and a bit far fetched, but it’s becoming increasingly real: artificial intelligence is writing the news. Although the practice is still not as widely used as other forms of A.I., there are several ways in which the news has been utilizing machine intelligence to write stories. Automated routine reporting is a process that uses A.I. to generate reports on topics like sports statistics or corporate earnings, and also summarize long articles into short info pieces to share on social media. A.I. news-writing is also being used to generate and distribute information faster, because it has the ability to instantly react to real-time data with the outlines of a story. For example, a quarterly report released by a large mutual fund may take a small team of portfolio managers weeks to draft. Using machine learning, that same report can now be prepared by A.I. in seconds. Reuters, one of the largest news providers, has already partnered with Graphiq, a service that uses A.I. to build and update data visualizations. That tool enables faster access to data, and once it is embedded in a news story, the visualizations are updated in real time. Other artificial intelligence programs, like WordSmith (used by Twitter) turn structured data into compelling text that is almost indistinguishable from one written by a human author. In limited capacities, A.I. algorithms have proven they are fully able to generate fact-based articles and news stories. Whether they will become intelligent enough to match actual journalists in both creativity and accuracy - or whether they will become congested with too much information and start churning out infamous “fake news” stories - still remains to be seen. From apps to customer service to healthcare decisions, machine learning is at once a pervasive and pragmatic part of how we’ve all come to function. That we as humans rely so much on thinking machines to live our daily lives is something that spells a technological victory to some and an impending downfall to others (with just a touch of irony all around). Although artificial intelligence is already all around us, its constant advancement means it is going to continue to shape our present and our future - probably both for better and for worse. Did any of these common A.I. items surprise you? What other forms of everyday artificial intelligence could be added to the list? Comment below!